Fortunately for Mahwah drivers, the Honda Accord has a long history of remaining a reliable vehicle over the years thanks to its trust-worthy design. Choosing a used Honda Accord is a budget-friendly alternative to financing a new 2018 Accord. Browse our wide inventory of used Accord sedans below. All of our used and certified pre-owned Honda models have been inspected thoroughly by factory-trained staff. When you’re ready to see a pre-owned Honda Accord sedan in person, be sure to contact our team at Mahwah Honda to schedule a test drive or to learn about leasing and financing options for your purchase. 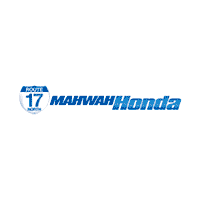 Mahwah Honda has the used Honda Accord inventory you’ll want to explore. Be sure to compare our used sedan models to one another to find the option that fits your Paramus driving needs. Contact us today at 201-529-5700 to speak with our sales team about any questions you may have, and don’t forget to check out our current used vehicle specials.